Mobile endpoint costs are skyrocketing as the number of business-critical devices continues to grow. Here is the top 5 tips for enterprise and business to optimise spend without compromising productivity. Tip 1: Know EXACTLY what is going on? 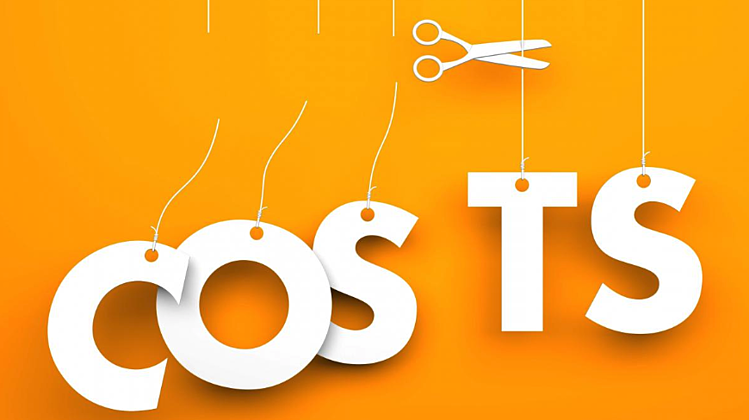 It may sound like the most obvious thing in the world but the first step to reducing mobile fleet costs is knowing what those costs are - in detail! It is not uncommon for Australian Enterprise businesses to have lost control of their mobile fleet. Let's face it - only 10 years ago there was no such thing as a corporate mobile fleet. In the early stages of growth, most companies foisted the job onto the IT or Finance departments to manage. Devices were limited to select senior employees, and there was little choice of device with minimal functionality. In short, very few of us had a mobile phone, and it was probably a Blackberry as that was the only device with push email access! Suddenly, in the space of a few short years, the market has been flooded with a proliferation of less expensive smartphones, tablets, wearables, handheld devices, embedded SIM laptops. Functionality - previously inconceivable - is a sudden reality. Having an accurate Asset Register is the benchmark for cost reduction. Knowing exactly who has what, and the cost of each device, is imperative to managing, controlling and reducing costs. The best way to validate your Asset Register - or set one up from scratch - is to survey your employees to discover exactly what devices and services they have. VoicePlus has developed its SmartFleet Survey solution to create a benchmark Asset Register for our customers. The SmartFleet Survey is a web-based survey with employees directed to the page by text message and email. They can then access the site from either their smartphone or from their office PC to complete the survey. Smart software built by VoicePlus validates the data by sending it automatically to the employee's line manager for verification. User details are authenticated and uploaded into a live database which matches Telstra Network records. VoicePlus has undertaken a SmartFleet Survey for Coca Cola Amatil and Downer Group which has resulted in significant cost savings for both customers. Can everyone see what the costs are and where they are? Is there accurate budgeting, accountability and consequences for overspend? Once you know exactly who has what device and what service, it becomes possible to make the costs of ownership visible across the organisation. And visibility means personal accountability and responsibility. It's easy if no one is watching for costs to skyrocket. Visibility of billing keeps everyone honest. VoicePlus Atrium Managed Mobility provides billing visibility across a business. The first method is to provide individual end users and their manager with an online view of the monthly carrier bill. The Atrium Portal provides both a visual graph and the detailed bill showing current spend. A 'warning' message can be utilised to highlight unauthorised call types and cost overspends. It also provides a workflow process where employees can dispute bills. This results in individual end-users being a pair of eyes for the business, identifying carrier errors and highlighting billing anomalies. Are you drowning in data or, even worse, in paper? How can you ensure you are not paying the correct rates? Is value assured? Industry experts estimate that 80% of carrier invoices contain errors, the majority of which routinely favour the carrier. Industry evidence suggests that savings of around 5% to 8% of total billings can be made by scrutiny of invoices. intra-account benefits not being applied e.g. free calls to nominated numbers. Atrium Managed Mobility has software that captures complex billing data and analyses it to catch errors, reduce costs and support decision-making. It checks actual charges against contractual agreement to ensure accuracy is applied at the invoice formation stage. It immediately flags services which are not being used or which are attracting abnormal billing application. With bills received electronically from Telstra the simple weight of paperwork is removed. Rather than the inputting of data taking up precious resource hours, analysis becomes the focus of administrative resources. Reporting for its own sake is of little use to most businesses. What's the point in replacing piles of paper bills with piles of electronic data? The key to successful Business Intelligence reporting is to use it sparingly, in a targeted fashion. What is needed is strategic cost analysis, reliable trend reporting and measurable cost saving strategies. Business Intelligence applications are numerous - from analysis of an individual's call patterns, to total company spend on a particular application. Business Intelligence Reporting can highlight unusual usage patterns, flag instances of misuse or non-use, and gather data to target areas for cost reduction attention. Your business is only as good as the people who lead it, so have someone smart lead your Mobile Fleet management. Traditionally Mobile management has grown up as a hybrid business function with responsibility often shared between Finance, IT, Procurement, and Operations. In reality, it doesn't really matter who is in charge, so long as someone is - and they know they are! Also consider partnering with an organisation with expertise and a proven track record in the field. VoicePlus is a Telstra Platinum Partner, Mobility. We are leaders in Enterprise Business ICT Solutions. Our mantra is Simplify, Innovate, Integrate. What to do when management says cut mobility costs?